“Hung by the chimney with care in hopes that Saint Nicholas soon would be there.” Stockings are a tradition that goes back ages, but sometimes finding items to fit in them seems troublesome. Having difficulty finding fun, creative stocking stuffers for kids? Look no further as we have compiled the best of the best from headphones to socks to super yummy snacks. 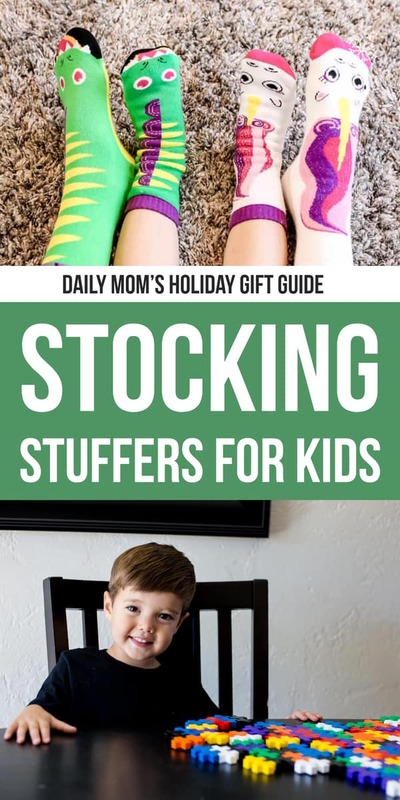 These stocking stuffers are fun and entertaining for the kiddos this year! 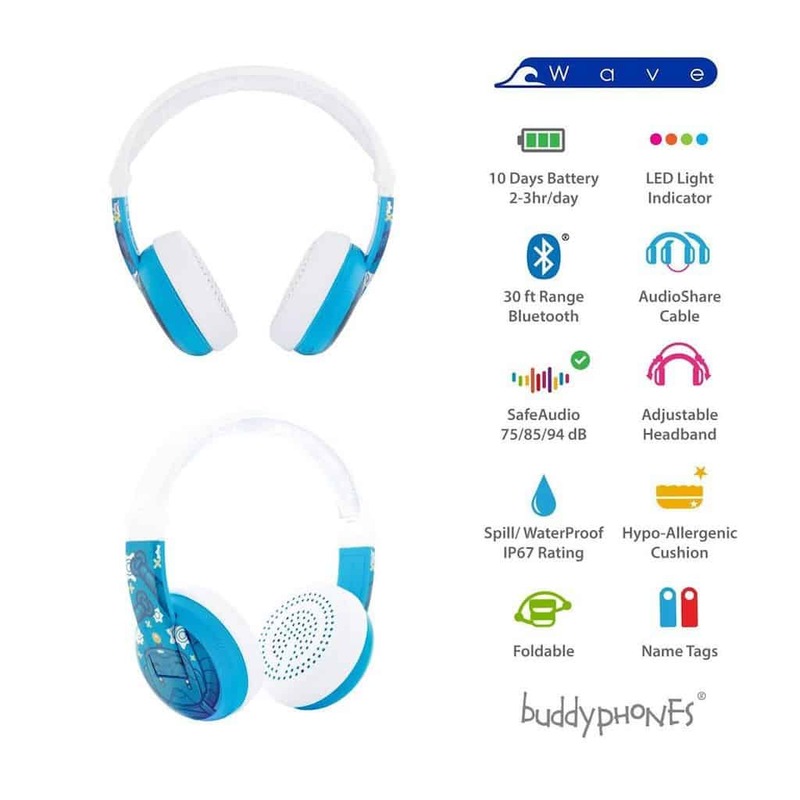 Introducing the BuddyPhone WAVE headphones. 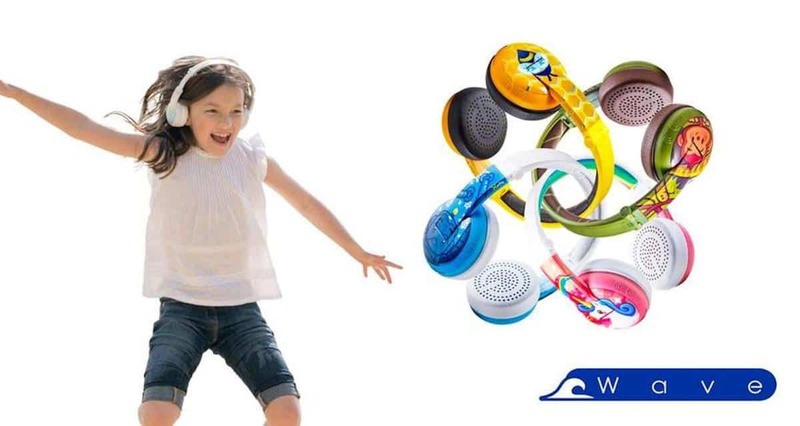 The first ever wireless Bluetooth and waterproof volume-limiting headphones designed specifically for kids. 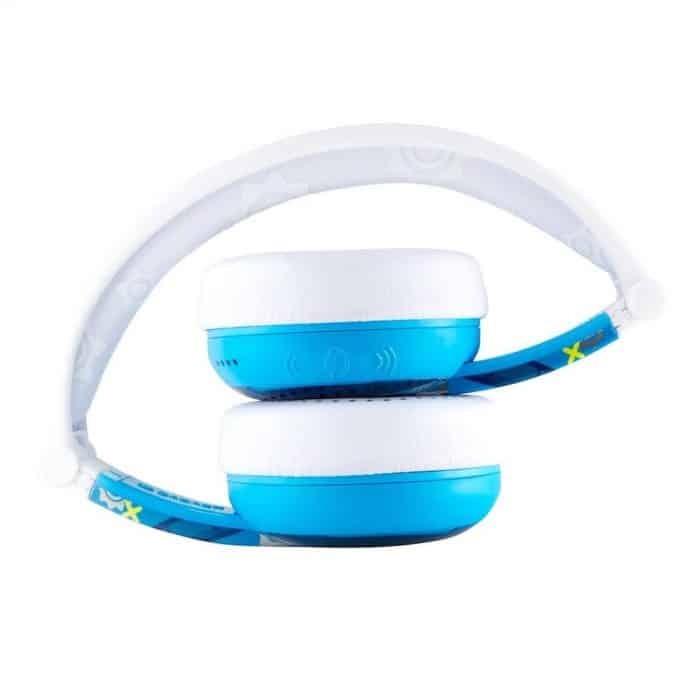 They feature four distinct listening modes for different occasions – Toddler Mode, Kids Mode, Travel Mode, and StudyMode – allowing parents to control the volume and mode depending on the environment. With 24 hours of play time and 200 hours of standby, your child can be entertained for the entire car ride to grandma’s house this holiday season. Volume-Limiting: sound control circuit to cap the volume at levels recommended for children by the World Health Organization. Kid-Proof: crafted from robust materials, BuddyPhones are made to bend, twist & withstand long days of use. BuddyCable: a built-in audio splitter that allows up to four cables to connect to the same device. Safety First: all BuddyPhones are designed with your child’s safety in mind by using the safest materials, design elements, and components available. BuddyPhone WAVES come in four fun designs: Unicorn, Robot, Monkey and Bee, Buddy and can be fully adjusted to different sizes. As a mom, you know the struggle of finding socks that match when it’s time to fold laundry. The struggle is real! Stop fighting it and embrace the excitement of coordinated – but not matching – socks. It’s fun, fearless, and fashionable thanks to Pals Socks. 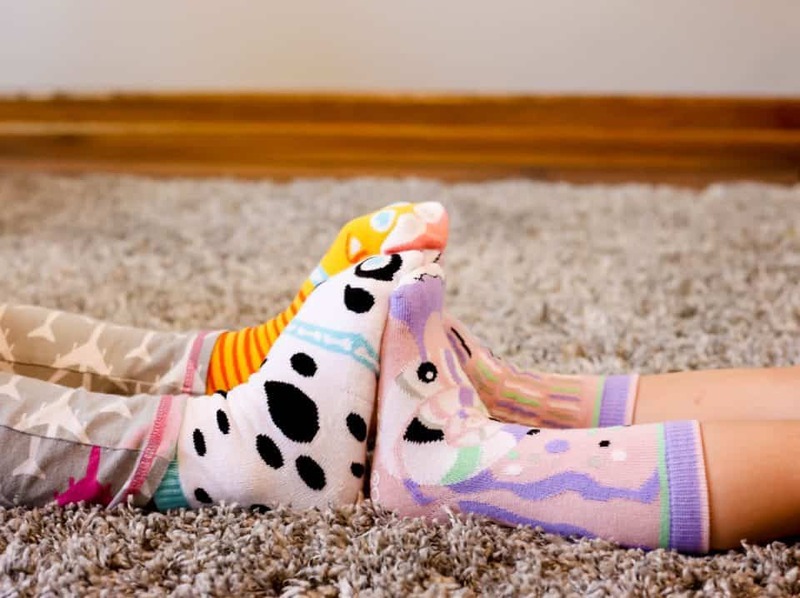 Each pair of socks is cuter than the last, and it is difficult to narrow down favorites but easy to want them all. 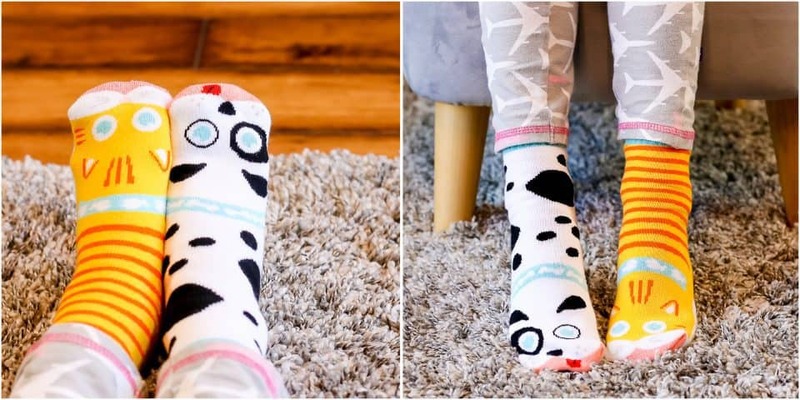 Whether it’s fox and bunnies or dogs and cats, these animal pairings are perfect for all feet. Ranging in sizes for baby feet as young as 6 months all the way up to adult, there is something for everyone. Some socks even come with interactive pal cards, which explain how the unlikely animals were paired together as a set and gives kids a chance to name their sock mates. Even better is that after you collect 10 pal cards, you can earn a free pair of socks! Another great thing about Pals is their stewardship to making the world a better place. They are thrilled to partner with various organizations as their way of giving back, with their currently offer being a “Buy 1 Give 1” campaign sponsoring Cradles to Crayons Philadelphia. As a company, Pals Socks was created to celebrate differences, inclusivity, and acceptance. 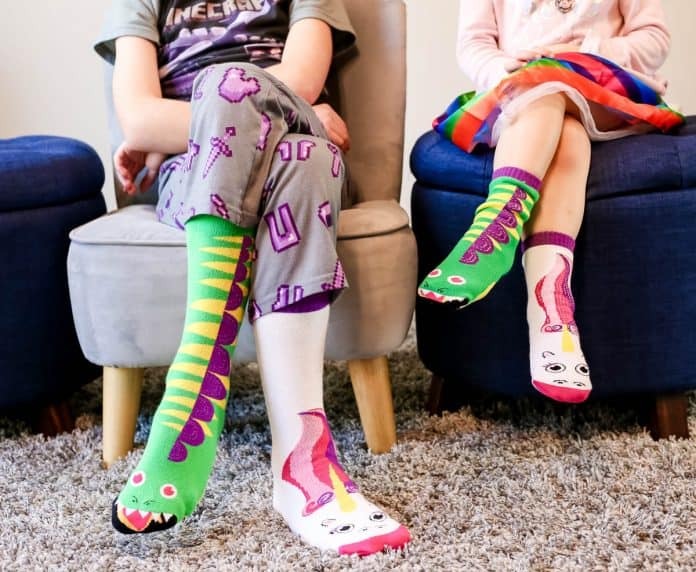 As parents, Pals Socks will create excitement and creativity. Thanks to their addition of Matchy Matchy pairs, the fun doesn’t end with kids. Parents can match their little one(s) making it twice as fun. Do you have a child that chews on their shirt collars, nails, sleeves, pencils, or toys? If so, Chewelry is your place to turn! They offer an outlet for children who seek oral input and allow for healthy chewing without ruining their clothing and bodies. Geo Tags Necklaces are kid cool and parent approved. The raised block shape is a full 1/2″ thick, allowing for both texture and depth to soothe chewing needs. This is a discreet choice that will go unnoticed by peers but meet the self-regulation needs of your child. 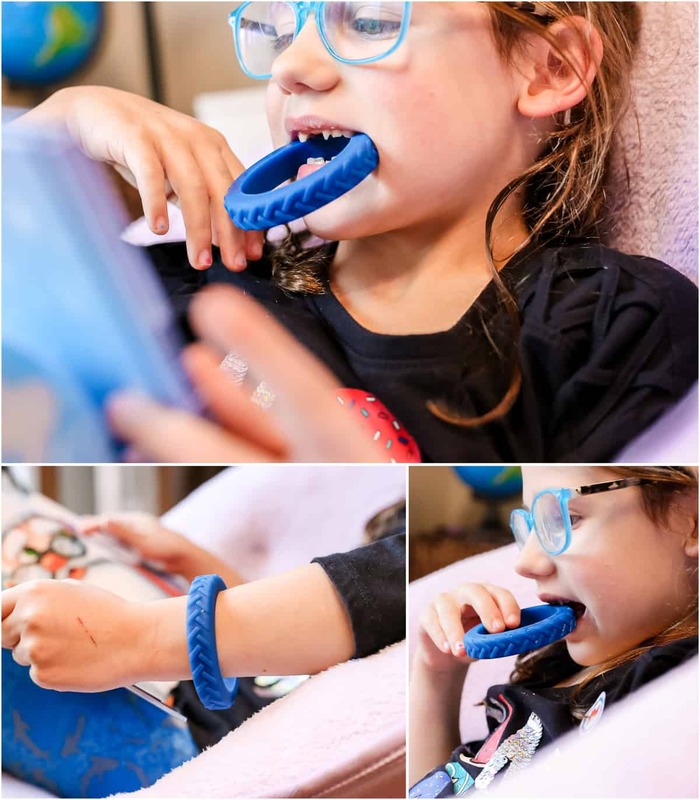 The Tread Chewelry Bracelet are made for smaller wrists and also offer discreet options for both babies and children. This non-toxic chewelry option is made from medical grade, FDA approved silicone and are free of lead, latex, BPA, PVC and Phthalate free. 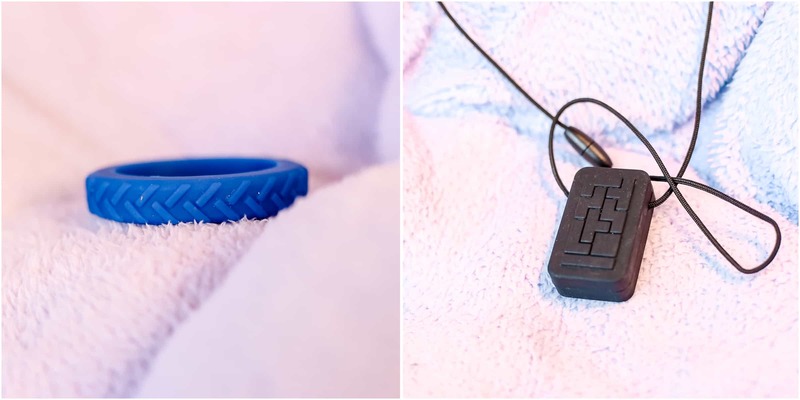 The bracelets offer both oral sensory support as well as tactile fidget needs. Patti + Ricky is a company that believes in fashion for people of all abilities. With over 45 designers on the team, all abilities are recognized, celebrated, and decorated. In addition to Chewelry, they offer a wide assortment of products fulfilling a vast range of needs. 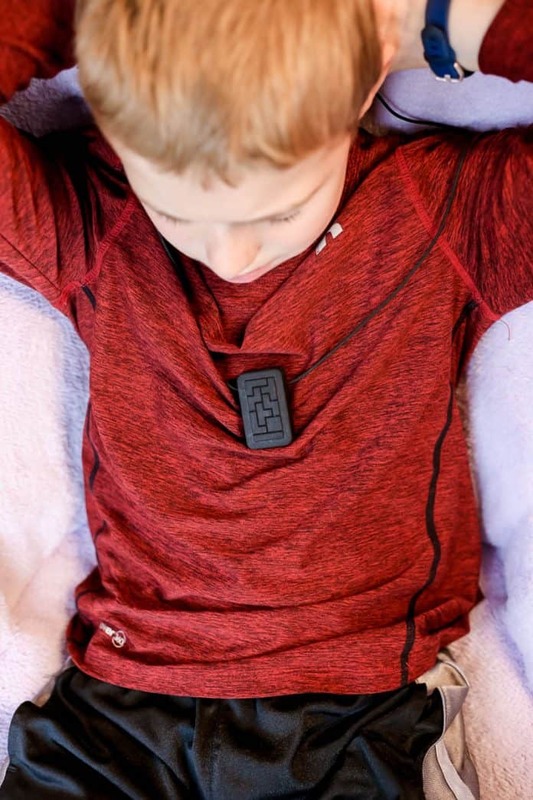 From men’s magnetic shirts to magnetic jackets for kids, art supplies to cranial band decals, braille printed jewelry to fidgets, their product selection is endless! Chewelry items by Patti + Ricky are the perfect combination of need and want. Chewelry is a great stocking stuff idea for kids of all ages, needs, abilities, and interests. There is something for everyone in their collection! Looking for a stocking stuffer for the kids that does more than just create more clutter or break upon first use? What about a gift that protects little eyeballs from harmful rays in both the sun and the bright snow. 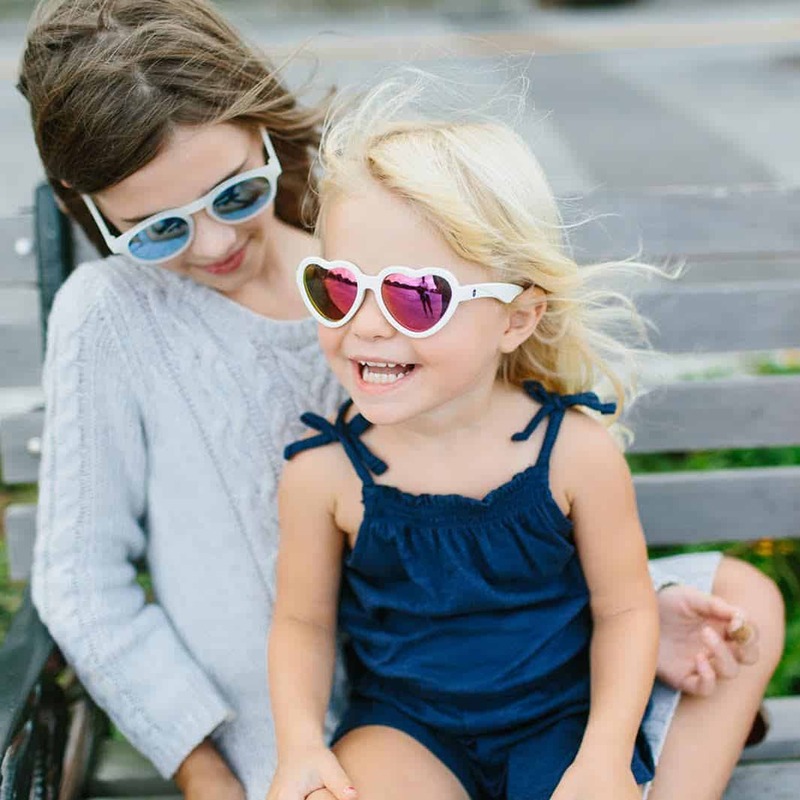 Babiators are the world’s cutest aviator-style and Wayfarer-style sunglasses for kids, providing 100% UVA/UVB protection. 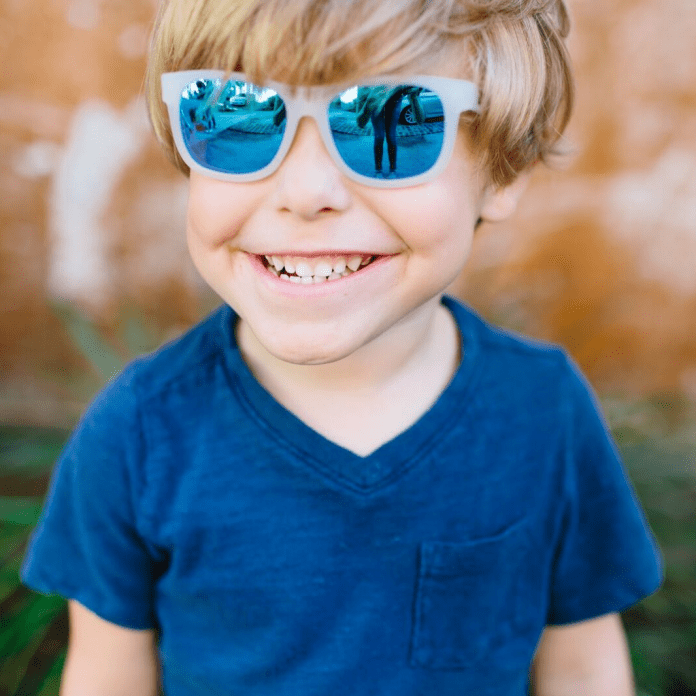 Made of pliable rubber and shatter-resistant lenses, these glasses are virtually indestructible, so your child can bend them and stretch them as much as they’d like without breaking. 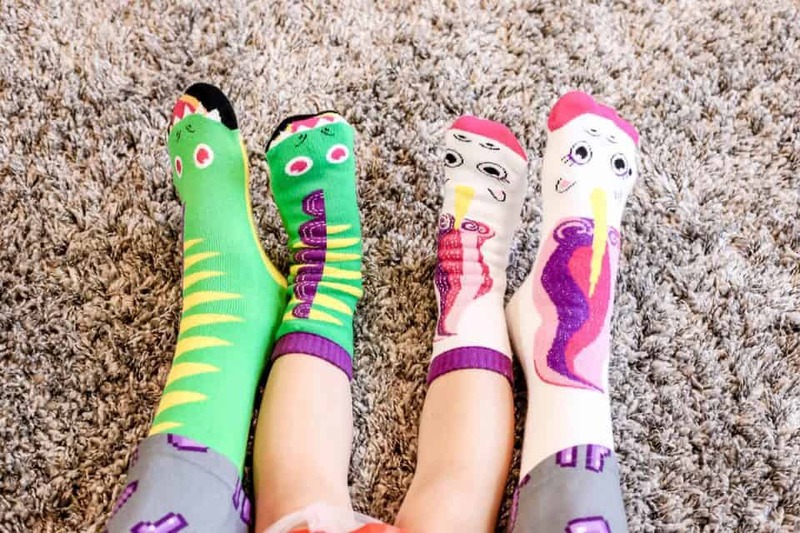 Available in sizes suitable for babies and children and in a variety of vibrant colors and cool patterns, you’re sure to find a pair that is perfect for every tiny human in your life. 5Stocking Stuffers for Kids from Blast! 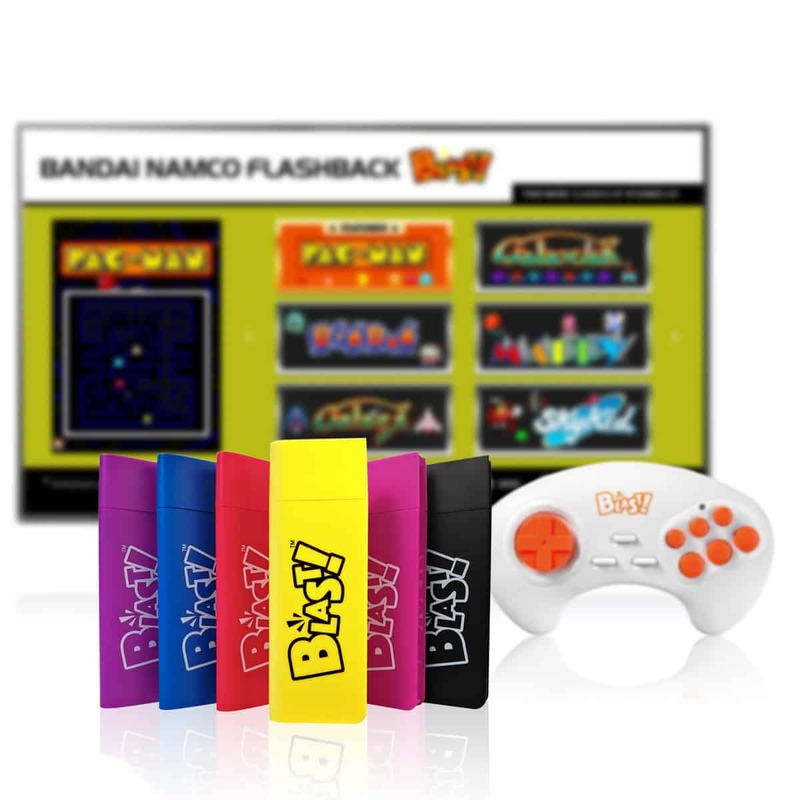 Get ready for a blast from the past with Blast! 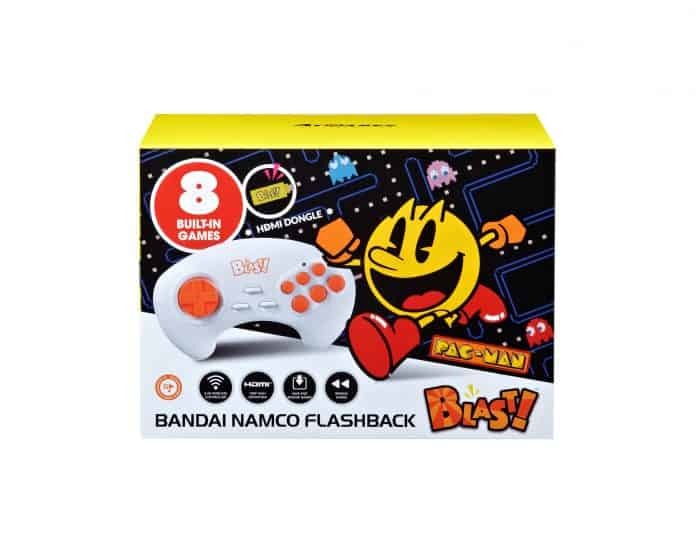 This hand held controller and accompanying cartridge comes with 8 built-in games. Simply add a big screen to the wireless controller and get ready to hunker down for an afternoon of fun. This is perfect to take right from the box and play, as minimal set-up is necessary and excitement is guaranteed! These arcade classics will be a Blast! (pun intended) for all generations, as the older family members can usher in the next generation of Atari loving gamers. The classically styled graphics will take you back (way back!) to a simpler time and place, where video gaming was all about the laughs and camaraderie of those sitting next to you! Parents, grandparents, aunts, and uncles are always looking for a fun and educational gift idea for the holidays. 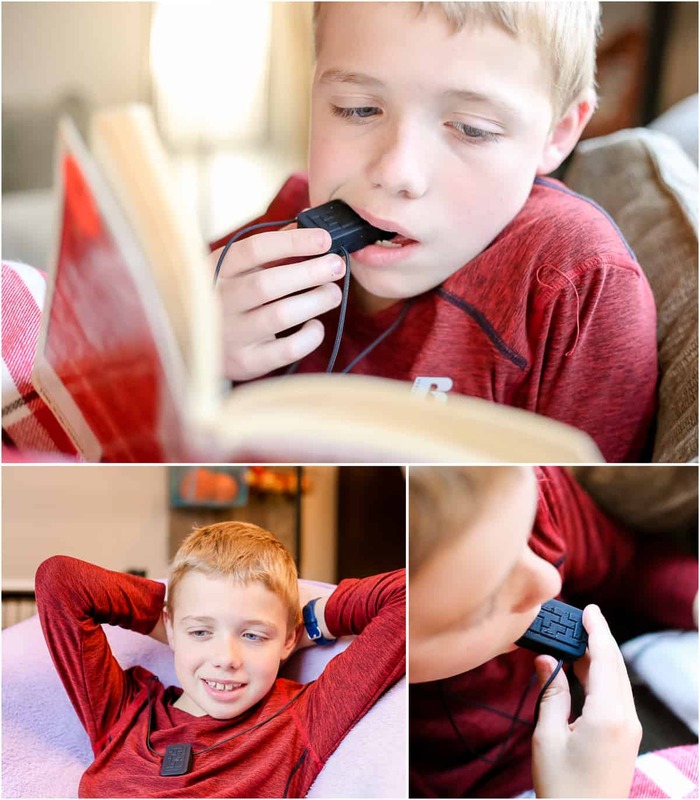 Not wanting to gift yet another present that will be played with once and discarded, this holiday season check out the Mental Blox On The Go for the elementary-age kid on your list. 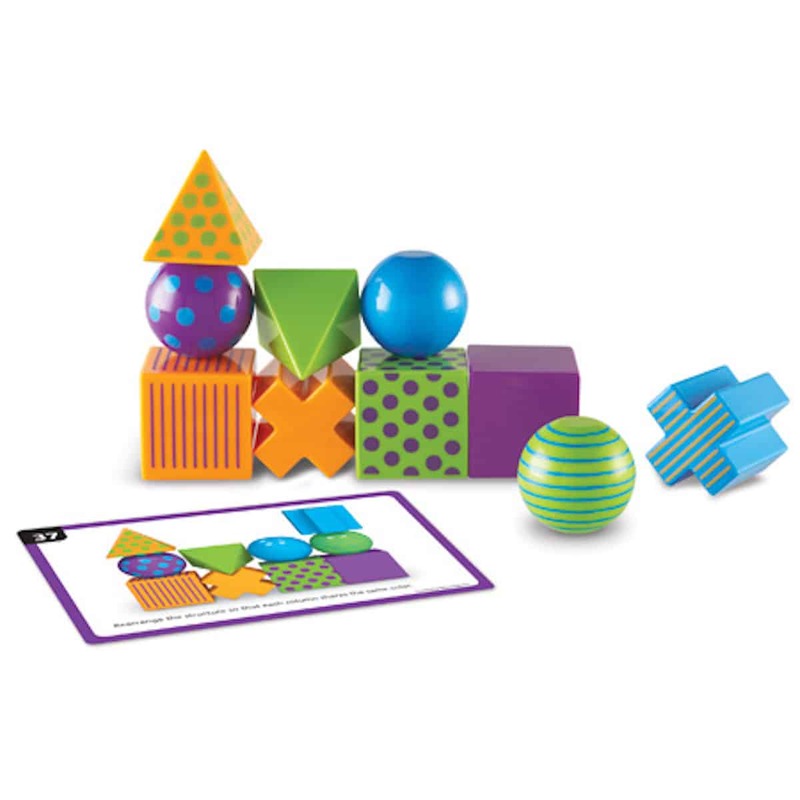 This critical thinking, strategic problem-solving game is perfect for developing visual/spatial skills, eye-hand coordination, fine motor skills, and more. 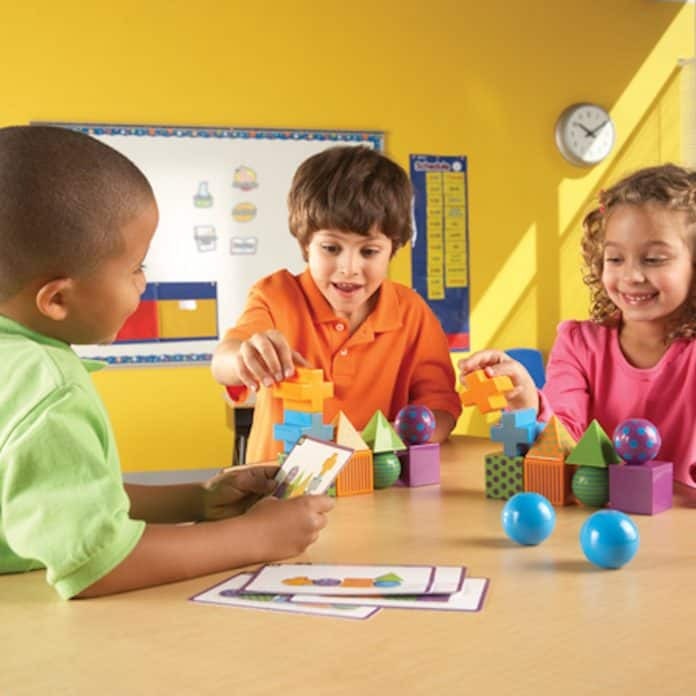 Using geometric shapes, Mental Blox involves stacking, patterning, and matching the multicolor shapes with varying challenges and levels of difficulty. With a simple and secure carrying case, this 3-D challenge game can be easily slipped into your bag for games on the go. Stockings don’t seem to get the love they used to. This year give your kiddos something they will really use and enjoy. These fun finds are a sure bet! Happy Holidays!